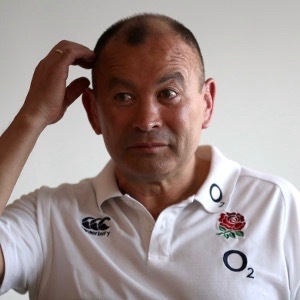 With the dust settling on Saturday's defeat in Paris I do wonder what Eddie Jones is thinking now he has the benefit of hindsight. Has he, for instance, asked himself why he selected a lightning-quick back three against France but then didn't employ any kind of cohesive strategy for getting the ball to them? Has he thought about why he selected a strong running inside centre with a limited passing game to play at 13 where he was, predictably, ineffective? Has he justified to himself why he chose to persist with a lock playing at blindside flanker and a blindside flanker at 7, especially given that the same combination had failed so spectacularly at Murrayfield two weeks previously? What did he think they would do differently? [Incidentally, both played well enough individually and would probably have been very effective in their proper positions]. Can he, hand on heart, honestly say to Wasps DoR Dai Young that Nathan Hughes was fully fit to play international rugby? By labelling Jamie George's performance in Paris as "workmanlike" does he really think that England's abject performance would have been better had Dylan Hartley been available to play - notwithstanding that Hartley had been in charge of the Murrayfield fiasco? Can Eddie explain just why England have started the last 2 matches with so little intent? Is the gameplan really just to kick away possession and wait for the opposition to make mistakes? Has he considered the wisdom of physically flogging players in between Six Nations matches, many of whom have been on a non-stop rugby treadmill for around 18 months and are obviously knackered? Does he really believe that the solution to England's problems is just more power? Has he considered how the likes of Scotland and Wales have created scoring opportunities through pace and guile? Does he honestly believe that the England rugby team are not, or cannot be, athletic enough to play a fast-paced running game? Having taken charge of England's attacking strategy himself, does he consider himself accountable for it's abject failure? Has he stopped to wonder just how ludicrous his public statements about winning the World Cup and being World No 1 - alongside many others about being brutal, ruthless etc - now sound? Publicly Jones appears to be attributing England's travails purely to having issues to resolve at the breakdown and, while clearly there are challenges to meet there, my concern is that England's problems at the ruck are beginning to look as if they may be symptomatic of a wider malaise...? No wonder he's saying it could take 18 months to fix.